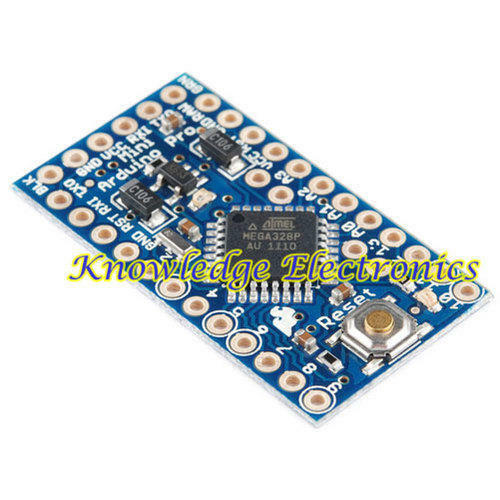 We are a highly acknowledged organization, engaged in presenting a remarkable range of Arduino Pro Mini Board. Knowledge Electronics is India’s one of the pioneering companies since 2015 and contending in this fierce market marvelously by the in-depth business dexterity. By the support of our professionals, we are engaged in manufacturing, wholesaling and retailing a superb quality assortment of products includes of Motor Driver Board, Relay Board, Interfacing Board, Wireless Communication, Electronic Sensor and many more. The squad of our venture is committed to purveying products that not only satisfy customer needs but also add value to the equipment investment by minimizing costs, improving productivity.